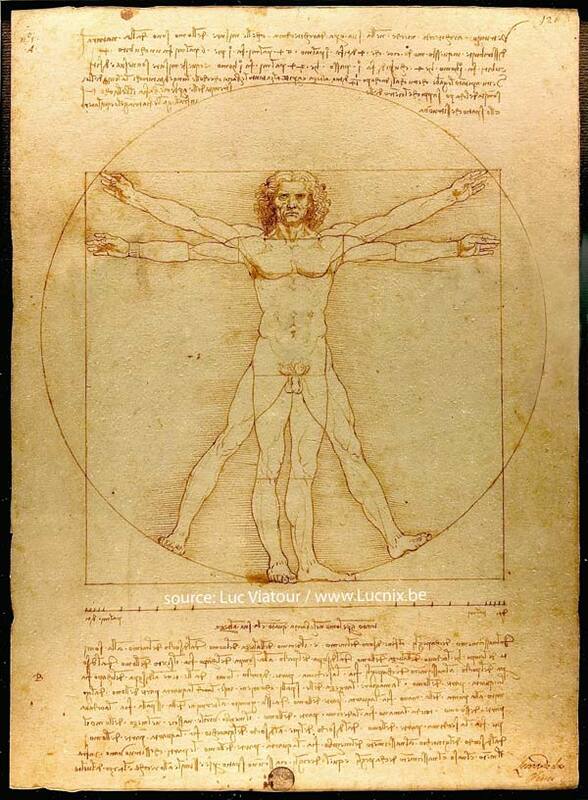 The epitome of human mandalas, Leonardo da Vinci‘s drawing based on architect Vitruvius‘s notes on human proportion, entitled: Vitruvian Man. Of all the things to draw, I struggle the most with drawing proportionately the human figure. I find this drawing and the notes very helpful. The notes include measurements for the human male figure such as: a palm is four fingers, a foot is four palms, the length of the outspread arms is equal to the height of a man, and the distances from below the chin to the nose and the eyebrows and the hairline are equal to the ears and to one-third of the face. The drawing is based on the correlations of ideal human proportions with geometry described by the ancient Roman architect Vitruvius in Book III of his treatise De architectura. Vitruvius described the human figure as being the principal source of proportion among the classical orders of architecture. Vitruvius determined that the ideal body should be eight heads high. Leonardo’s drawing is traditionally named in honor. View more of da Vinci’s drawings on the Drawings of Leonardo site.